Lakshmi Pandey is a senior research associate with the Fiscal Research Center and Center for State and Local Finance. He specializes in working with administrative data and also provides analytical and technical support on research projects, such as welfare to work, the Supplemental Nutrition Assistance Program and unemployment insurance for U.S. Department of Agriculture, census data analysis, geographical information systems, incorporation and cityhood studies, and many others. 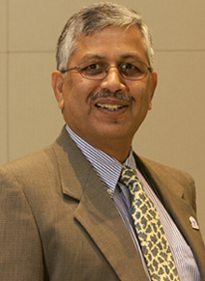 He received his doctorate from Banaras Hindu University in India and has worked at Washington State University and State University of New York at Buffalo prior to Georgia State University.